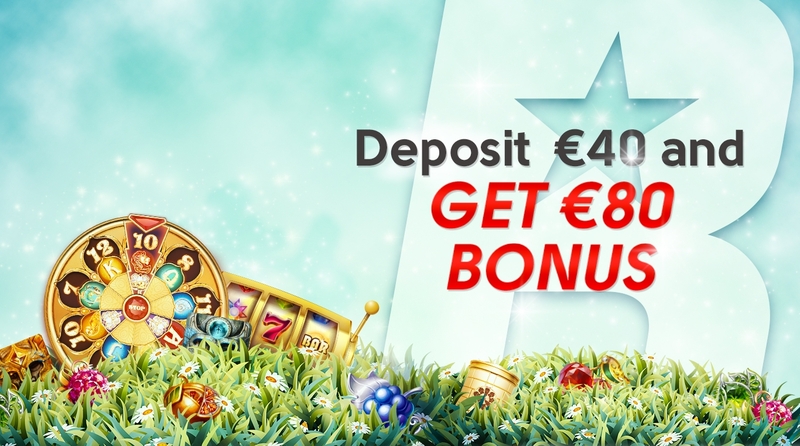 Deposit €40 and get €80 bonus automatically to your account, you can then play with €120. Make sure you use promocode OLYBET80 during registration. PLUS - register today and get 20 Twin Spin Deluxe free spins automatically, no wagering on winnings!!! Use the promocode OLYBET80 during registration, this will automatically opt-in to the campaign. Make a €40 deposit to your account, deposit here! Don’t forget to sign up to our newsletters as you never know when free spins are coming towards you, our free spins doesn’t have any wagering requirements. This offer is valid for all OlyBet clients who have not made their first deposit. Campaign is valid until 01.07.2019 at 12:00. Player can participate the offer one time. Customer must use promocode OLYBET80 during registration. First deposit must be exactly €40. Bonus amount has 35x wagering requirements. Bonus amount is valid until the end of the campaign - 31.07.2019 at 23:59. After the campaign ends, all unused bonuses will be taken away from the account. OlyBet has the right to modify or cancel the campaign without further notice.